Viruses are infectious particles consisting only of the viral genes enclosed in a shell made up of proteins. The infectious complete body of virus is called virion. Virion is composed of nucleic acid and capid. Therefore, virus is generally called nucleocapsid. The genomes of different viruses (sets of genes) may consist of double-stranded DNA, single- stranded DNA. double-stranded RNA, or single- stranded RNA. 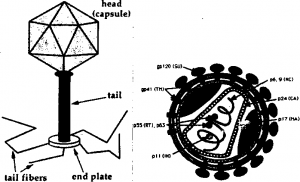 Thus a virus is called a DNA virus or an RNA virus. The genome is organized as a single linear or circular molecule of nucleic acid. The smallest viruses have only four genes. But the largest have several hundred genes. The visions with single copy of gene are called haploid. The retroviruses contain two identical RNA strands. They are called diploid. Tobacco mosaic virus has a rigid, rod-shaped capsid. It is made up from over a thousand molecules of a single type of protein. Adenoviruses infect the respiratory tracts of animals. They have 252 identical protein molecules. These molecules are arranged into a polyhedral capsid. It has 20 triangular facets. The most complex Capsids are found in bacteriophage.Bacteriophage infects bacteria. Bacteriophage has seven types. These seven phages are named type I (T1), type 2 (T2), and so forth. They are named according to the order of their discovery.The first phage (Ti) infects the bacterium Escherichia coil. The three phages T2. Te. and T6 have very similar structures. Their capsids have icosahedral heads that enclose the genetic material. A protein tailpiece with tail fibers is attached with the head. It is used for attaching to a bacterium. 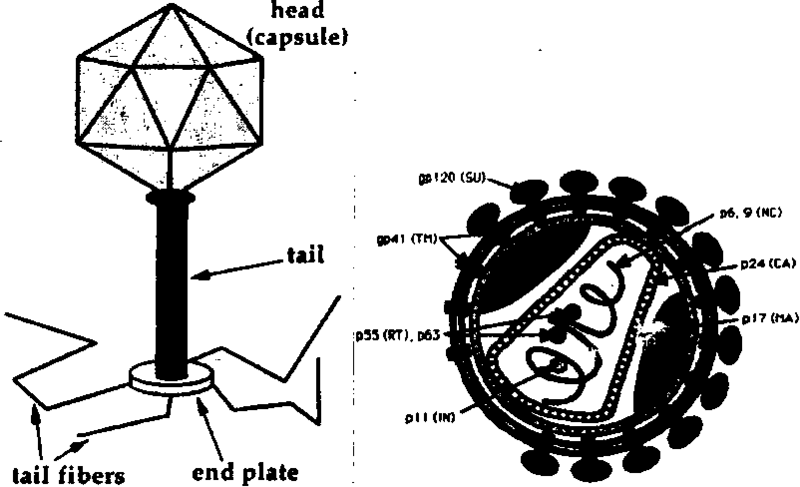 Some viruses have accessory structures like envelopes. Envelopes help them to infect their hosts. Influenza viruses and many other viruses found in animals, have membranous envelopes. These envelopes cover their capsids. 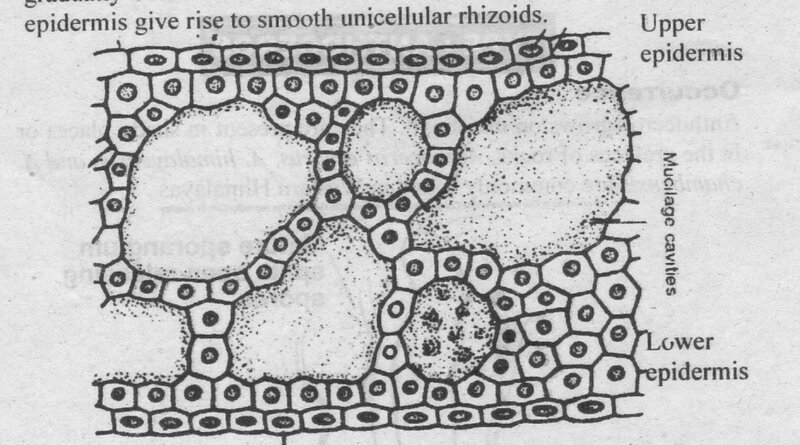 These envelopes are derived from membrane of the host cell. The envelopes contain phospholipids, proteins and glycoproteins.